Democrats in the House offered a border security plan on Wednesday that would not provide a penny for Donald Trump's border wall, ignoring — for now — an early-morning warning from the president that they'd be "wasting their time" if they don't come up with wall money. The Democratic offer is just a starting point in House-Senate talks on border security funding that kicked off in a basement room in the Capitol. A top Democrat acknowledged that "everything is on the table," including the border barriers demanded by Trump. Lawmakers on both sides flashed signs of flexibility, eager to demonstrate willingness to compromise in hopes of resolving the standoff with Trump that sparked the just-ended 35-day partial government shutdown. The high-stakes talks are taking place against the backdrop of another possible shutdown in mid-February — an outcome Trump's GOP allies in the Senate are especially eager to avoid. But while Trump's rhetoric has cooled, he's proven to be an unpredictable force in the shutdown debate, often veering back to his original demands for the wall. Lawmakers negotiating the bill are well aware that he could move to quash an agreement at any time, plunging them back into crisis. Still, Trump's request for $5.7 billion to build about 234 miles of barriers along the U.S. border with Mexico faces uphill odds. Even Trump's GOP allies acknowledge he may only get a fraction of it. The Democratic plan includes new money for customs agents, scanners, aircraft and boats to police the border, and to provide humanitarian assistance for migrants. A panel of 17 lawmakers tasked with finding a compromise to secure the border and keep the government open begins their work Wednesday. Their job is to come up with a border wall compromise that both parties will support and President Trump will sign, avoiding another government shutdown on Feb. 15. "Smart border security is not overly reliant on physical barriers," House Appropriations Committee Chairwoman Nita Lowey, D-N.Y., said as the session began. She said the Trump administration has failed to demonstrate that physical barriers are cost effective compared with better technology and more personnel. 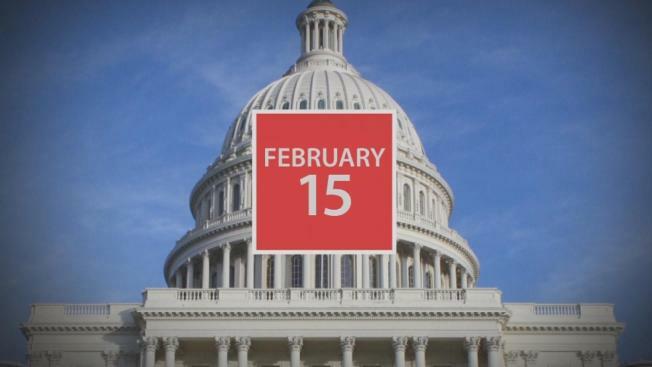 Hundreds of thousands of federal workers return to work on Monday, Jan. 28, after lawmakers struck a deal with President Donald Trump to temporarily reopen the government for three weeks. Another shutdown is still on the table, as Trump push to secure funding with threats to use Pentagon funds if Congress will not give him $5.7 billion for a physical wall. Prospects for broadening the scope of the talks to include broader immigration issues such as providing protection against deportation to "Dreamer" immigrants brought illegally to the country as children — or even must-do legislation to increase the government's borrowing cap — appeared to be fading. "It's just a matter of border security at this moment," Democrat Lowey said.